In my family, the travel bug has always been with my Mom. After college, she toured the world with a large company in Japan as a Corporate Interpreter. Just like yours truly, she's moved from Japan to Seattle to Hawaii and back - you get the gist, we both love to travel. 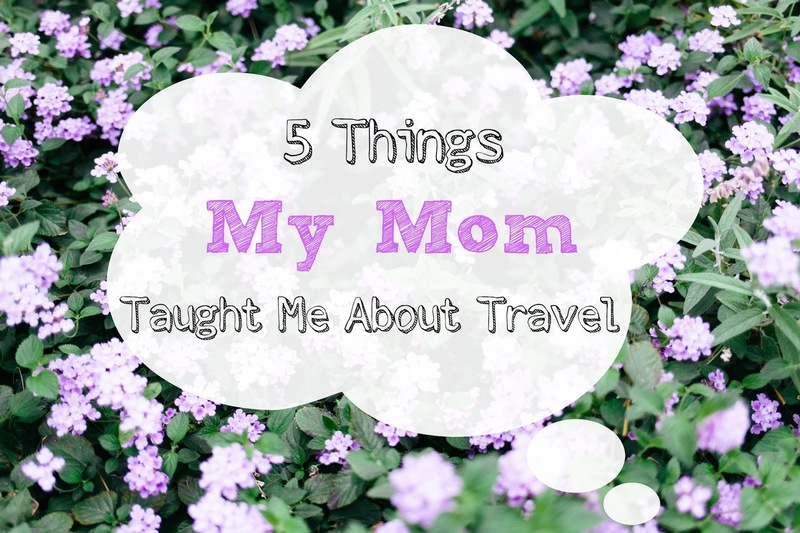 So in celebration of Mother's Day, I've come up with 5 things traveling with my Mom has taught me. I'm dedicating this post to my Mom that's all the way in Tokyo. I know she's reading this, so thank you for everything you do for the family and being the best Mom anyone could ever ask for. I miss you and can't wait to see you in a couple of weeks in Seattle! 1. Bring Your Own Food - This used to seem obvious until I started traveling with friends or coworkers and saw them overpaying for food at the airport or onboard. My Mom always packed fruits (especially mikans/oranges) and snacks when we traveled. The oranges are not only packed with Vitamin C but they would hydrate us and not to mention so refreshing! Airplane food has always made me sick so I lived for the snacks my Mom would pack. Keeps the stomach and wallet happy! 2. Be Ready To Repack - Our family loves to buy souvenirs both for ourselves and for friends. We also love to stock up on things we can't get back home. This usually puts us in a predicament I think a lot of people can relate to: our suitcase weighs more than 50 lbs (22.5 kgs). My Dad is the packing master of the family but my Mom is the re-packing master at the airport. She always packed a plastic bag full of things that equal just around 5 lbs near the opening of the suitcase. This way, when we're told we're a few pounds over the limit at check-in, we can unzip and grab that bag. We either relocate that bag to another suitcase or just carry it on. Because who wants to pay $100 just because you're over the weight limit? 3. Be Patient & Flexible - Travel isn't always smooth. Delayed, missed and cancelled flights. Car problems. Really anything can disrupt the process and it happens more often than we would like. I can only imagine how frustrated she was about cancelled flights with two children with her but she never showed it. She always taught us to be patient and flexible. If a flight was delayed, she would tell us we were going on an adventure through the airport to discover different gates and terminals, just for fun. If a flight was cancelled overnight, she would get us excited about the swimming pool or cool restaurant in the hotel the airline put us in. She taught me to be patient and flexible when things go wrong. Like she always says, "it is what it is, let's just make the most out of it!" 5. Enjoy The Journey, Not Just The Destination - I think a lot of people, sometimes without knowing, feel their vacation starts as soon as they get to the destination. I understand though, because the process of traveling isn't that fun. Something people don't know about me is that while I love to travel, I hate flying. If it weren't for my Mom I would hate it even more. She always made the journey just as fun as the actual vacation. She always had our favorite snacks, we would listen to music together, eat at fun restaurants at the airport, go on a chocolate hunt to the snack isle when the cabin got dark, have our favorite candy ready when our ears popped, etc. We have just as many memories of the journey as we do about the actual destination and I love that. I hope you enjoyed this special edition blog post as I virtually celebrate Mother's Day! Do you have any travel tips you've learned from your Mom? Do share below!